Not too bad on the calls last week, the only real surprise was Carrie not holding up on audience word of mouth and finishing much lower. I guess we should have a moment of box office silence for The Fifth Estate, which posted one of the worst openings ever for a wide release ($1.6 million off 1,700+ theaters). Hopefully, the film industry won’t repeat such a mistake. That’s a lot of empty theater screens nationwide. 1. 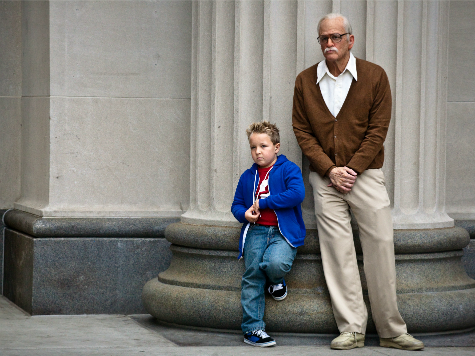 “Jackass Presents: Bad Grandpa” ($28 million) – Some positive buzz here, so I think a Jackass 2-like opening isn’t out the question ($29 million). Still, future results may face a steep drop-off in coming weeks. 2. “Gravity” ($21 million) – Oh yes, film will break the $200 million domestic mark. An awesome blockbuster. If you listen carefully to Hollywood, you can hear the ever so silent screams of “Why can’t our film do that,” “I thought Elysium was the next District 9,” “How is Sandra Bullock that big,” and so on. Yes, industry, take good notes here. 3. “The Counselor” ($14 million)– The marketing for this film is interesting, not really heavy on plot points, instead more of “you just have to see it” mentality. Will it work? It can, but only to a mid-level opening. 4. “Captain Phillips” ($10.1 million) – Ouch. Film started off strong, but has since tampered off quite a bit. It may be the bad press associated with the crew of the actual ship challenging the film’s accuracy. Sony really needed a hit here (after disappointments After Earth, White House Down, Elysium, and Battle Of The Year), that may be in jeopardy. 5. “Carrie” ($7.2 million) – As predicted, this horror remake fell way back of original horror projects like The Conjuring and Insidious 2 in their openings this year. Film holds a top five spot, but will lose it next week. Twelve Years A Slave will do very well in limited release. Positive buzz is sky high. Look for a $3 million gross (off only a few hundred theaters). More importantly, The Butler will effectively lose any of its Oscar buzz as this film proceeds further. The reason? Early reviews have 12 Years A Slave much more accurate in portraying history, and is fueled by incredible acting. Harvey Weinstein would be wise to be concerned. Those are Sensei’s calls. Enjoy the weekend.